Pest description and damage The redhumped caterpillar is the larva of a 1-inch, gray-brown moth. 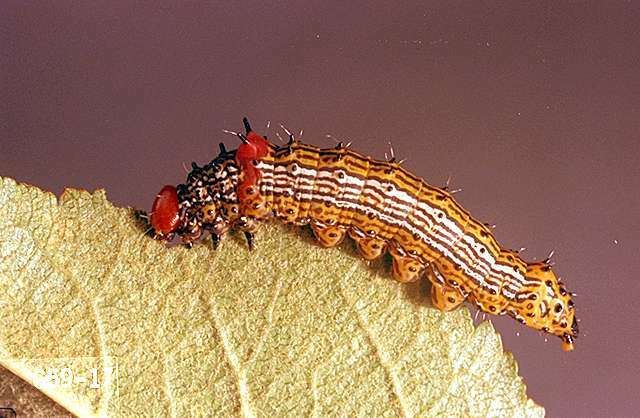 The mature larvae are yellow with a red head and the fourth segment is humped. The body has orange, black, and white lengthwise stripes with dark fleshy "spikes." Young redhumped caterpillars are found in clustered colonies which disperse as they mature. They eat entire leaves (except the major veins) and can cause considerable defoliation. This insect has been a problem on cherry, rose, and other hosts east of the Cascade Mountains. 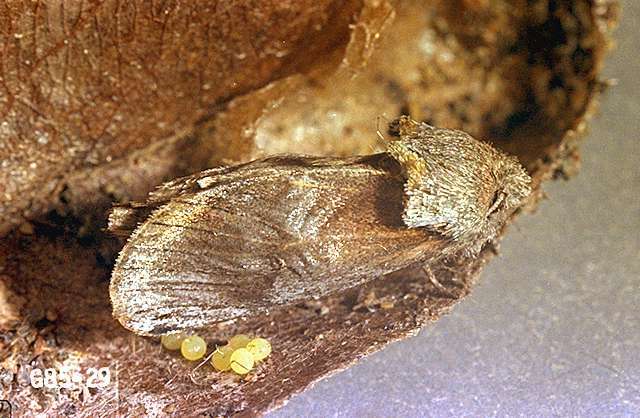 Individual larvae may be picked off, and entire colonies can be cut out.